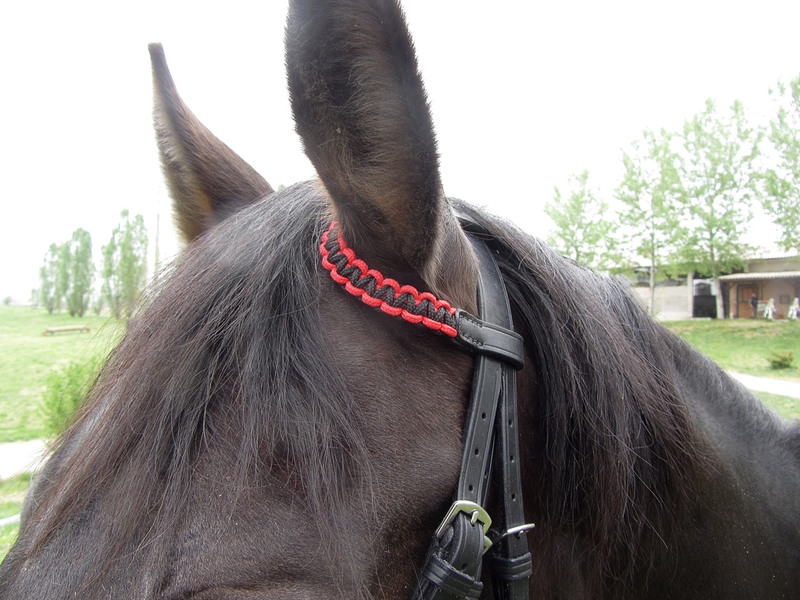 My latest "effort": two-ears bridle with black and red rope ear loops, flash noseband with red padding and red contrast thread used for sewing it and buckle bit billets. 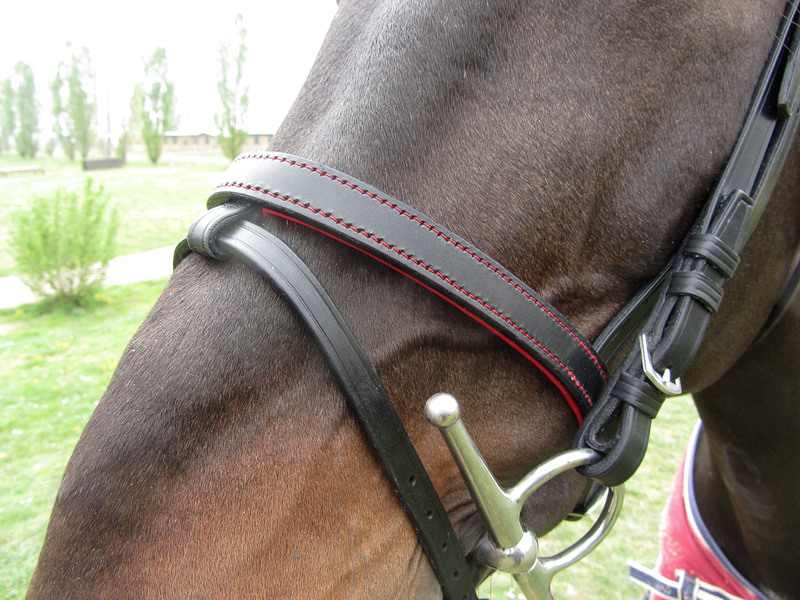 Full size, black Sedgwick leather, neoprene padding lined with italian kip, in red, stainless steel buckles. Should I be sincere? First time I buckled this one up, still in my workshop, I was really skeptical about rope ear loops. 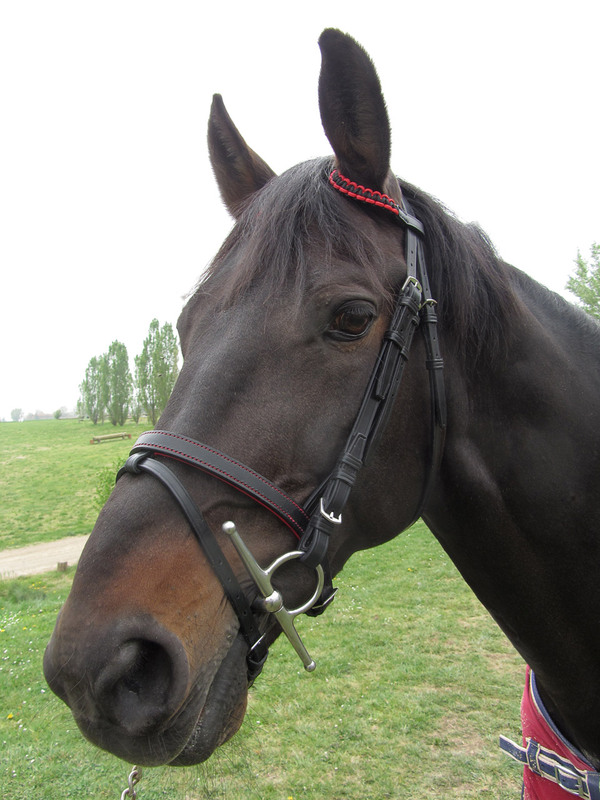 But I had to change idea once I put it on the horse: they look better than expected! I'm still working on its matching reins, I'll post them as soon I get them ready. wow!! 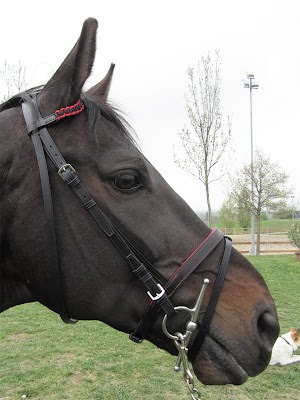 a me piace moltissimo! Molto molto molto bella e originale, la testiera English a un orecchio..western! !